Conversations about how to move the Stargate franchise forward in this new, digital era are ongoing inside the halls of MGM — and Brad Wright is involved. Wright co-created Stargate SG-1 in 1997, followed by Stargate Atlantis in 2004 and Stargate Universe in 2009. 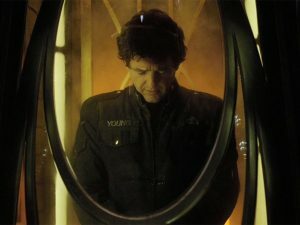 After telling fans at Gatecon: The Invasion in September that he is talking to MGM again (after years of disconnect), Wright this week hinted at the discussions that continue to take place. 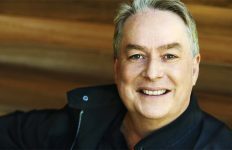 He spoke about Stargate — and Travelers, which dropped its third season on Netflix last month — with the Nerks of the Hub Podcast. Set in 1939, the 10-part Web series Stargate Origins followed a young Catherine Langford (Ellie Gall) in a story that largely took its departure from the 1994 Stargate feature film — though there were a few notable references to the later TV mythology, including the presence of a Harcesis child. With Origins wrapping up its 10-part story last March, the studio has been cautious about where to take Stargate next. Now that Wright is back in the mix, it means hewing closer to the TV mythology in that next project. 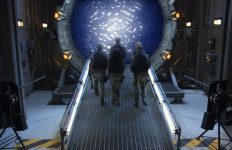 WHAT HAPPENED TO STARGATE UNIVERSE? 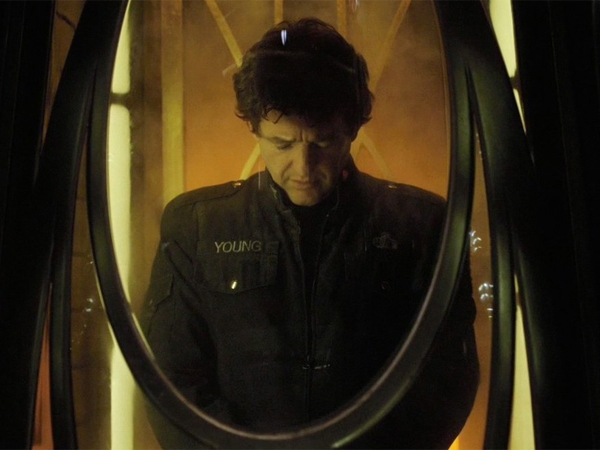 The writer-producer also discussed the impact of MGM’s 2010 bankruptcy on SGU‘s third season renewal. “What happened with Stargate Universe is MGM went through a major restructuring — basically a structured bankruptcy — that changed everybody,” he said. “Everyone who I knew at MGM simply was gone within a month of this event. 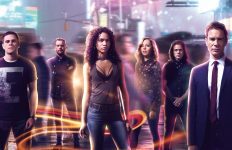 And so even Syfy — who wanted to talk about a third season, or at least have the conversation — really had no one that they could talk to. Nearly a year after testing the waters with Stargate Origins, though, it sounds like the studio is ready to take another step forward. And while the next production might not be a full-fledged TV show, it ought to be something that honors Stargate’s more than 20-year legacy on television. Check out the entire, 50-minute conversation with Nerks of the Hub now at Anchor, iTunes, or wherever you find your podcasts. Wright also talks about working in the Canadian film and television industry, pitching SG-1 to Showtime (in the middle of a fire alarm), casting SGU‘s Patrick Gilmore and Jennifer Spence in key roles on Travelers, and what it will take for Travelers to win a Season Four renewal. And be sure to follow GateWorld for breaking news about Stargate in 2019! Hopefully it won’t be as terrible as Origins! I haven’t seen Origins, but if it messes with canon I am glad I haven’t. This interview is encouraging though, hopefully we will get something modern that doesn’t attempt to rewrite history. The trend of messing with canon in existing franchises has left my avoiding much of what I used to love. I actually didn’t notice much. It does the easy way out at the end. i won’t say what, but it is easily explained and kind of connects with the original movie. It was defiantly fun to watch (i watched it on Prime). You want more stargate or not? that attitude doesn’t help! Origins was a terrible show. 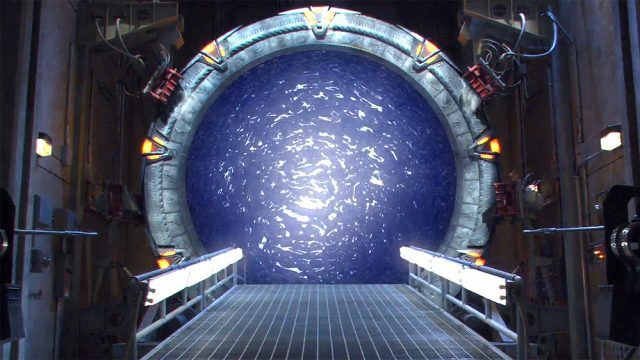 If it will be another part of it i wish that it will be made by people who really knows how to made a QUALITY Stargate show. Getting the right cast together is the key to a new Stargate series. SG1 could have gone for another 5 years at least, however Atlantis struggled with the cast and chemistry, and Universe simply missed the mark. Universe tried to be unnecessarily ‘gritty’ and Atlantis seemed to second guess their casting decisions. Personally I would like the next story arc to follow a return of the Ancients much like the fan written story arc available on the web. 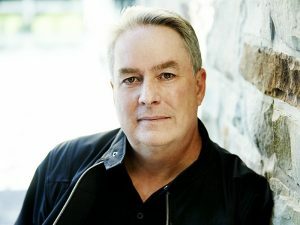 Best news I’ve heard in awhile.. Brad Wright back at the helm, with a new series based on the existing SG-1 canon.. It’s the best case scenario for stargate(tv) fans, as far as I’m concerned. They should at least make a new story line, with new characters and a brand new enemy to face too. They should at least bring back the SGC into the mix and Atlantis too of course where new characters would interact with what is what and what else they should do next. At least exploring more female roles into it, would help with character development and what they do mainly on it. @Rod, “juvenile” is a really nice way to put it. It’s by far the worst thing that has ever happened to the Stargate franchise including the games and the animation. It was a pathetic attempt, it lacked depth, it lacked direction, it lacked any kind of intelligence and frankly it felt insulting. Meh, just retcon it as a mirror world. Heck, retcon the MOVIE as a mirror world, where O’neil was spelled with one N and looked a bit different. We really need another proper stargate series (either SG Universe) or other.. but not a 2-series setup. We need a nice 8-10 seasons. I mean.. galaxy is massive. I’m pretty sure the writers / storytellers can think up a lot of scenarios / events that can occur (even some that are multi-episode). New tech, New Species, New Powers to be seen. If a new series is in the works, I hope the writers look at what worked in the past & what didn’t & make the right choices. origins was too bad. as a fan i didnt watch after 2 episodes.I wish to see stargate in a cinema triology or more. I loved Stargate. Origins was terrible. It was agony watching what they did to a great series. Stargate could be a money maker for MOM, but not in the way mgm is approaching it.